Mayor Ras J. Baraka and Director of Recreation, Cultural Affairs & Senior Services Patrick J. 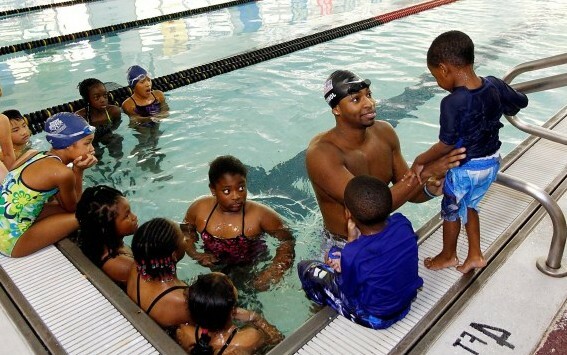 Council, Jr., announced today that the City of Newark is offering a series of five-day Lifeguard Training classes, beginning on Saturday, February 24, continuing through Wednesday, May 30, at the John F. Kennedy Aquatic Center, located at 211 West Kinney Street, in the city’s Central Ward. The center’s entrance is on Howard Street. These classes are only open to individuals aged 15 years and older. Space is limited, so early registration is encouraged. Participants are encouraged to pre-register by calling the JFK Aquatic Center at (973) 733-6550, however, walk-ins on the first day of each session are acceptable. Participants must be on time and participate in all classes per session. They must also demonstrate competency in all skills/activities, attend all sessions, complete final rescue skill scenarios and pass all exams with a minimum grade of 80 percent. The prerequisite drill, administered at the beginning of the first class, will require participants to swim 300 yards continuously, demonstrating breath control and rhythmic breathing, using the front crawl, breast stroke, or a combination of both. Swimming on the back or side is not allowed. Participants must also tread water for two minutes, using only the legs, complete a timed event within 1 minute, 40 seconds, and surface dive, feet or head first to a depth of seven to 10 feet to retrieve a 10-pound object. Failure to pass all parts of this drill will disqualify the participant from taking the course. Participants must bring swimwear, cap, and a towel, to all classes.